Are you seeking performance parity between your hardware and software appliances? 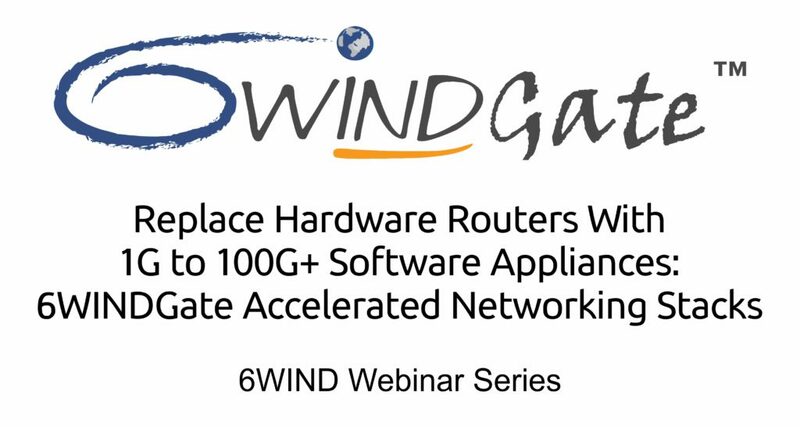 6WIND’s 6WINDGate accelerated networking stacks help OEMs migrate their hardware appliances to virtual network functions (VNFs) without sacrificing performance. 6WINDGate offers a platform to build a complete product offering while saving time to deliver new and future product versions. Examples include 1G to over 100G software routers, IPsec VPN security gateways and 4G / 5G mobile infrastructure in bare metal and VNF implementations. We will illustrate a Mobile Infrastructure Security Gateway on x86 servers with the performance required for software to replace hardware in 5G networks.